The ability to detect pedestrian is an important feature in autonomous driving vehicle and advanced driver assistance system (ADAS). The detection can be very challenging due to the complex scene and bad visibility on the road. In addition, it is difficult to achieve high accuracy and good speed performance at the same time due to more processing power is required to increase the accuracy. To address this constraint, we propose a framework to detect pedestrian through fusion of image gradient and magnitude properties and the process is speed up with integral image implementation. Both image gradient and magnitude properties were extracted using Histogram of Oriented Gradient (HOG) and Histogram of Magnitude (HOM) features. From the experiment results, we showed that the combination of HOG and HOM features can achieve 99.0% accuracy compared to HOG (98.6%) or HOM (95.5%) features when they are used independently. 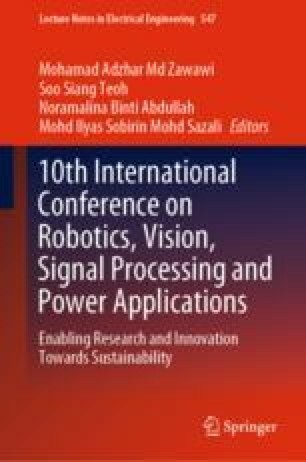 This research was supported by Universiti Sains Malaysia Research University Grant (RUI) under project no.1001/PELECT/8014053.